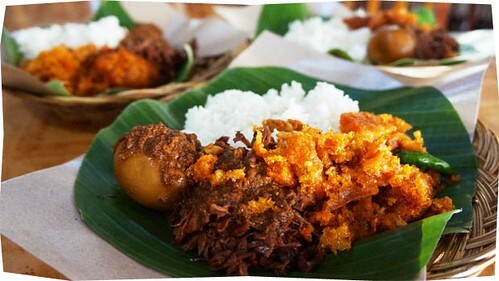 Traveljunkieindonesia.com– Are you ready to burp, burp, and burp? I have some pretty cool to share from Yogyakarta, where International Travel Bloggers spent much of last month. Central Javan food is sweet, even the curries, like gudeg (young jackfruit stewed with coconut milk, palm sugar, and spices). Gudeg is eaten with rice, opor ayam (a sort of chicken curry), a hard-boiled egg, spicy buffalo skin (Javanese called Krecek), and tofu. 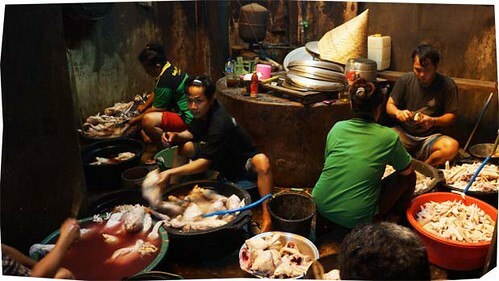 How to cook like a gudeg maker in Yogkakarta. One afternoon in Jogja we went to Gudeg Yu Djum’s main kitchen to find out what makes her gudeg so DELICIOUS! 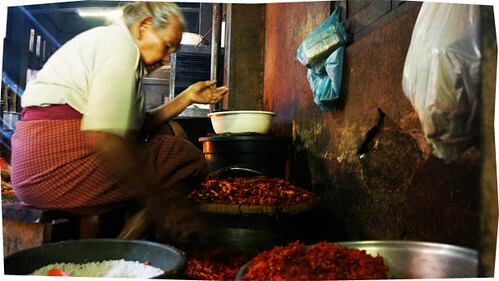 Well, Gudeg Yu Djum is one of the most famous restaurants in city of Yogyakarta. 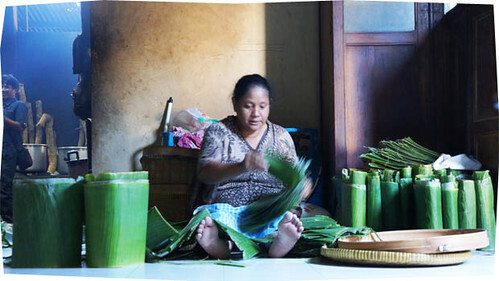 Yu Djum’s gudeg and its accompaniments are prepared behind the eatery’s second shop in kitchens that wouldn’t have changed much since Yu Djum started her business decades ago. 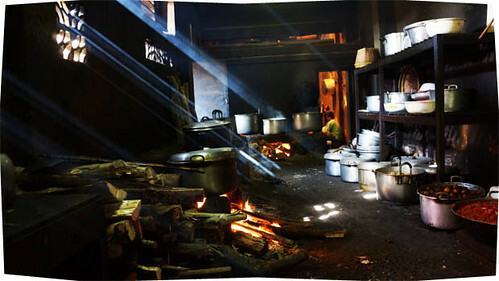 Here the gudeg, the main ingredient is being cooked. Everything is cooked over wood. Gudeg, which is produced 24 hours a day, 7 days a week in the location we were visiting, is then shipped to additional restaurants throughout Yogyakarta. There’s no secret to gudeg. The ingredients are simple and everyone knows them. The flavor comes from the hands of the cook. The hands in Yu Djum’s kitchens are very talented indeed. 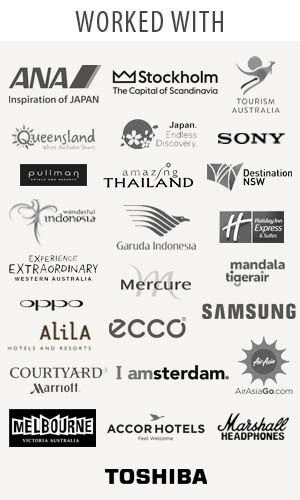 Travel Junkie Indonesia was a guest of the Indonesian Ministry of Tourism and Creative Economy for the excellent #Travel2Indonesia trip.